Wrigley’s Skittles goes social with dance videos to show the many fun ways to eat your Skittles. 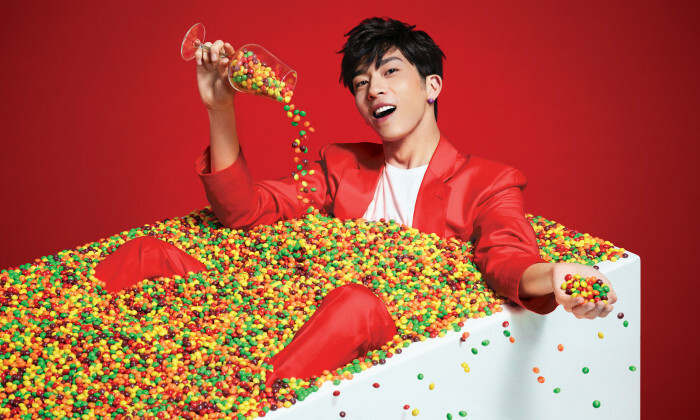 Starring Chinese singer and actor Jing Boran, this campaign marks an exclusively ‘social’ media strategy for Skittles. The “you are how you eat” campaign brings out the fun factor of Skittles. From sorting colours, gulping a handful or enjoying them one by one, every person has a unique way of eating the five flavours and colours in each packet. Three playful videos starring Jing Boran were released online, inviting consumers to submit their videos of how they consume Skittles. Ten days after launch, a one minute video of user submitted content came alive with playful animations on Bilibili. The online videos are set to the beat of a catchy Skittles song and accompanying dance steps to add to the brand’s youthful appeal. “We really love working on Skittles. We keep challenging ourselves to find novel ways of connecting with Chinese consumers. We’re thrilled we’ve created a social dance craze for Skittles,” said Philip Romans, managing director at DDB Guangzhou. The below-the-line campaign will see more content rolled out over the next few weeks, including a chance for consumers to meet Jing Boran in person. “With its humorous and insightful storytelling, Skittles’ new campaign is a big hit in the Chinese market. We are delighted with DDB China Group’s work and excited to see where the new direction takes us,” said Cristin Kuang, marketing manager at Wrigley China. In the run up to the Rio Olympics, Skittles launched its limited edition range in stores at the end of May. The confectioner also partnered with Tencent to create the Tencent Square Dance Competition where three dance groups compete for the chance to battle it out against local samba dancers in Rio. The campaign will run until the end of August. Cheil China has won the account for China's hotpot restaurant chain Xiabuxiabu (呷哺呷哺). ..
Quiz: How much do you know about the local OOH scene? Test your skills here. ..
Sands Resorts Macao’s new online micro-movie featuring its brand ambassador David Beckham has been criticised for the star speakin..